Olorun: Theocracy is a medieval-style fantasy RPG, it supports from single player to 4 players cooperation. Olorun: Theocracy features abundant forging, combat systems and adventures. It's up to players to decide who they are, whether it's the humble people of the gods, or the filthy Exodius! Mixed (43) - 69% of the 43 user reviews for this game are positive. still there'll be more coming soon , thank you for your support and understanding . 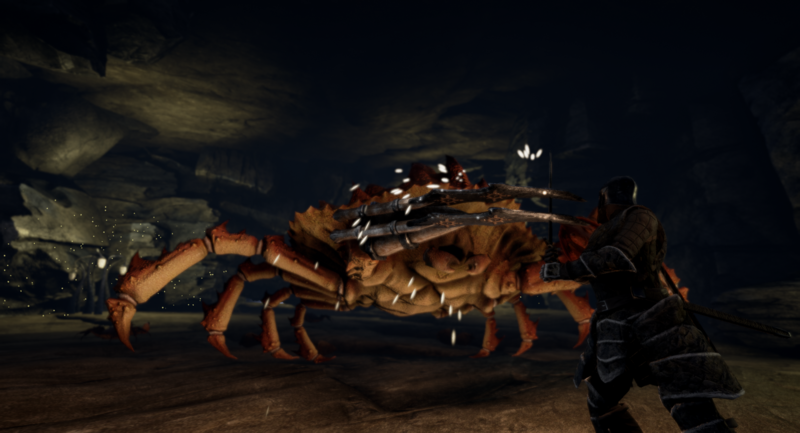 Our melee system is different from the traditional lock-on or fixed-directional combat systems, in our game you can move your cursor to switch your melee direction in the combat stance, attacking or defending your foes from all directions, this adds to the tension and excitement in a combat for players to enjoy. Olorun: Theocracy provides at most 4 players cooperation, you can face the harsh environment and dangerous monsters with your friends, and teamwork with them to gather resources such as wood, stone, or ores. We provide our players an innovative forge system where you could forge your own unique weapons with different material choices, and customize their shape to your own ideals. In Olorun: Theocracy, players will find that even with the same type of equipment, the appearance and attributes will differ as they were forged with different material. Therefore, it is vital to choose appropriate material based on your needs when forging a new item.